These are very similar to my least favorite chips ever, except a thousand times better. They're better because they're lattice-cut, and because they don't have a weird piggy flavor to them. They are indeed sweet. These are the sweetest barbecue chips I've ever had. On the other hand, they're not all that spicy—and I certainly wouldn't have minded a bit more spice. But we'll forgive them for that, because these are still pretty amazing chips. Ever wonder why some chips are labeled "bbq," and others "barbeque," and still more "barbecue"? It makes one wonder which is the preferred spelling. I'm guessing that most of you do not wonder about such things unless you studied English in college like I did and have some weird, nerdy spelling fetish. But that's neither here nor there. We're here to talk about food. And these chips are very crispy, very salty, and fairly pungent in the flavor department. They almost have a ketchupy taste to them, but just a tad more tangy. 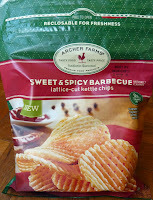 We've had some other decent Archer Farms potato chips recently, and while they're not particularly good-for-you like some of their Simply Balanced chips, they're starting to make us think Archer Farms has the salty, flavorful, snackable chip thing down to a science. I'd try these unless you're looking for something truly spicy, or if you're averse to very sweet chips. Hey Nate. I just discovered your blog and it's great. I’m one of the writers at The Impulsive Buy, and often find myself impressed by the Target brand. As for chips like this, I don't know what it is, but the lattice cut chips always have a crispier texture and, to me, more pronounced potato flavor. I really enjoy them, which is sort of ironic, because I dislike Waffle-style fries like those at Chick-fil-A. They always seems to soggy and underseasoned. Thanks for reading, Adam! I'm a big fan of The Impulsive Buy, too. I totally agree about the lattice cut chips, but I also like Chick-fil-A fries. 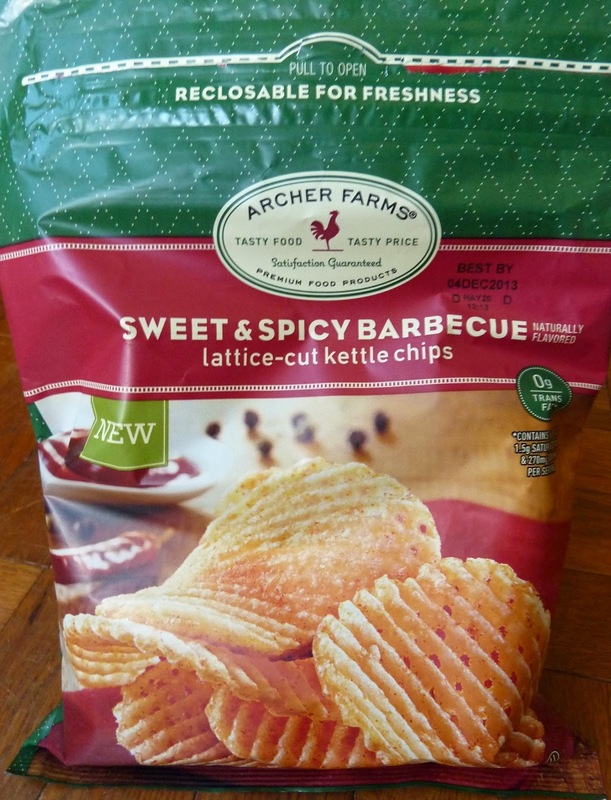 If you're a fan of lattice chips though, you should totally check these things out.